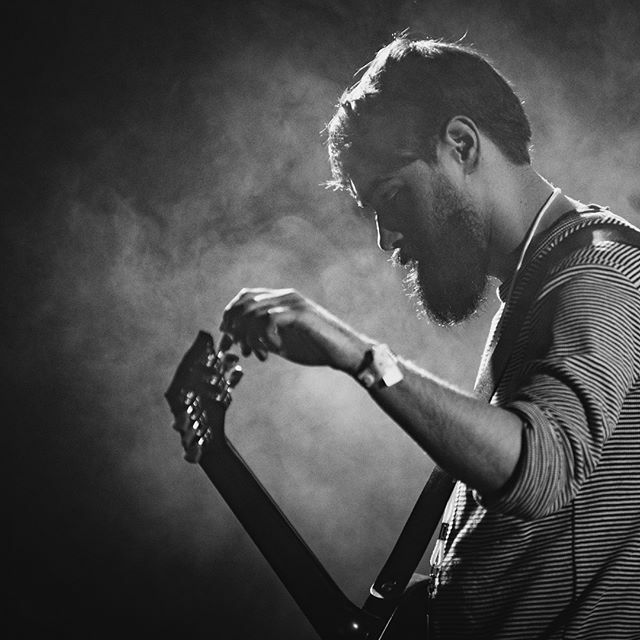 As the guitarist of Band Of Holy Joy, James has been active since his last solo endeavour with annual album releases and regular touring with the group. A highly prolific composer and an incredible musician, Trace is delighted to welcome James to the label. Low Bias is a collaboration between Mark Beazley, [Rothko/Rome Pays Off/Signals] and Graham Dowdall, aka Gagarin, [Roshi feat. Pars Radio, Pere Ubu, Nico, Ludus]. Graham is currently best known for his solo work under the name Gagarin, receiving ever increasing critical acclaim with each new release. Graham has also worked with musical luminaries such as Nico, John Cale, and David Thomas [amongst many others]. Rome Pays Off is a new group, formed by original Rothko members Mark Beazley and Crawford Blair in February 2010, with Chris Gowers from Signals and Karina ESP now joining them on treated electric guitar. Their debut album, There's No Simple Explanation, was recorded over a few Sundays between February and April. BLK w/ BEAR is the audio-art pseudonym for Washington DC sound and visual artist JS Adams. His audio performances and temporal turntable installations - staged in art spaces across the Metro DC area and in NYC's Tribeca arts district - include forced physical and electronic looping of altered vinyl recordings, found sound, and media decay along with manipulated voice synthesis. His recordings - released on Kuma-Chan [ USA ] and Trace Recordings [ UK ] - have accompanied independent film/video projects in NYC and London. Selections from his acclaimed Wish for a World without Hurt collaboration with London's Rothko have been used in the Discovery's Channel's Emmy-nominated The Flight that Fought Back and BBC1's Little England's Big Swim. Adams is curator of the Triangle Artists Group's annual sound-art and spoken-word fest Queering Sound, member of Outmusic and the American Composers Forum DC chapter. Tetherdown are Mark Beazley, [Rothko], Anne Garner and James Murray. Anne and James are renowned composers and have their own label, Slowcraft Records. This is the first time the trio have collaborated, and they recorded their debut album, First Flight in a single recording session, without having ever played together prior to this. The resulting recordings form the debut album, First Flight. David Hurn is a hidden treasure. One of the UK’s most thoughtful and original songwriters, penning bittersweet songs of love, hate life and death and everything in between. With shows at SXSW and support slots with Mark Eitzel, his reputation as a writer continues to grow and grow. His first release on Trace, ‘Black Flowers’ is a collection of instrumental recordings that David made in 1997 and 1998 on a 4 track tape recorder, producing a set of warm, deeply thoughtful and contemplative tracks. David also plays in the semi-mythical improvisation group Four Seasons Television with long time collaborator James O’Sullivan. Peter James has been writing and releasing deep listening instrumental music for some time, and has collaborated most recently with the musical collective 48Cameras and Dean Richards of Disturbed Earth. Peter's music is often described as ambient, but it is by no means easy listening. Holding On - Letting Go and Is are the first of his releases to be featured on Trace. Signals was formed by Chris Gowers (Karina ESP, Evelyn Records) and Phil Julian (Cheapmachines, Authorised Version) during summer 2004, initially to work on collaborative performance for the 2004 London Headphone Festival. 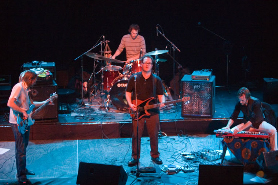 During November 2005, Mark Beazley of Rothko joined Signals to play live as part of the on-going Evelyn Records evenings in London, cementing the core line-up. The trio’s live performance’s consisted of 15 to 20 minute drone and melody explorations, utilising bowed and effected guitar, live laptop manipulations and sampling, bowed ceremonial bowls and effected bass guitar.